Titan™ 6 ft. 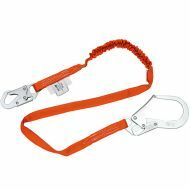 Shock Absorbing Lanyard with standard double lock snap hooks from Miller by Honeywell. 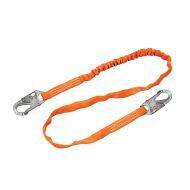 Titan™ 6 ft. Tubular Shock Absorbing Lanyard with standard hooks, from Miller by Honeywell. 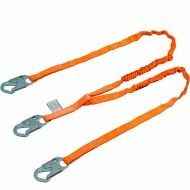 Titan™ 6 ft. Twin Leg Shock Absorbing Y-Lanyard, standard snap hook, two large locking rebar anchorage hooks. 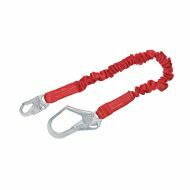 Titan™ 6 ft. Tubular Shock Absorbing Lanyard with Rebar Hook, from Miller by Honeywell. 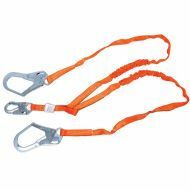 Titan™ 6 ft. Tubular Shock Absorbing Lanyard with three standard hooks, from Miller by Honeywell.